The other night my family watched a great Dove family approved film called The Woodcarver. It releases on DVD next Tuesday, March 13th. This movie stars John Ratzenberger. (He is probably best known for playing mail carrier Cliff Clavin on the sitcom Cheers.) My children know him from his voice parts in Pixar’s films. (Hamm the Piggy Bank in Toy Story, The Abominable Snowman in Monsters, Inc. Mack the truck in Cars, etc.) Recently, he played a guardian angel in the movie What If. Ernest, Ratzzenberger’s character in The Woodcarver, is down to earth and one that you will find yourself being drawn to. The movie deals with real life issues that many face like parenting, marriage, divorce, work integrity, and the loss of a loved one. I will say that this is one movie that I could not find any faults with. Trust me, I looked. The only thing that was a little strange was the way the Baptist pastor dressed like a Catholic priest. My husband is a Baptist pastor, so of course I would notice something like that. Most people wouldn’t care. But honestly, I really enjoyed this movie. My oldest son commented about the ending; he didn’t like it. But without giving it away, I will say that I thought it was a good portrayal of the reality of life. It was very touching. So go rent it on March 13th and find out for yourself. The movie tagline is “Restoring their faith in God and in Life”. So a word to movie producers, keep up the good work by producing more movies like The Woodcarver and my faith just might be restored in the movie industry. ** I wish I could send everyone a copy of this DVD, but I only have one to give away. 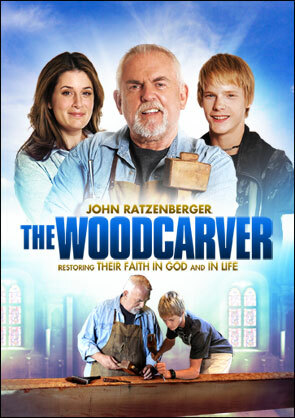 So leave a comment and I’ll pick one winner on March 13th to receive The Woodcarver DVD. Disclaimer: I received “The Woodcarver” DVD in exchange for an honest review. I do not receive any other form of compensation for the reviews posted on this blog. Looks like a movie we would enjoy with our family. I usually buy movies at Lifeway when they have a sale so we will have movies to watch we don’t rent movies anymore..thanks for the chance to win. Sounds like a great movie! Can’t wait until I can rent it!!! It’d be so nice if they made more family friendly movies!!! Thank you for the review. I am always looking for good movies as my husband really enjoys them. We have eight children, so it is very good to know about ones that we can enjoy together!